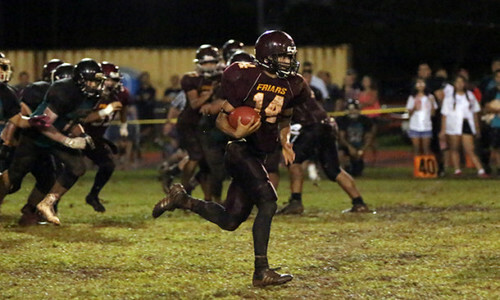 The Faher Duenas Friars are now 4-0 as they shut out the Southern High Dolphins in a 17-0 win at the GW field. The front seven for the Friars held the Dolphins down in the box and their secondary was just as dominant outside. 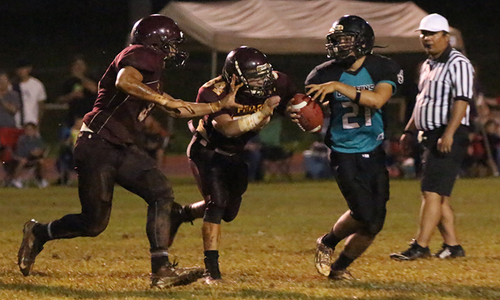 The Dolphins were held to 39 yards in the game, including a net loss in the second half. 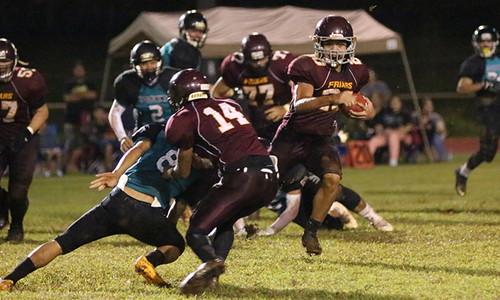 Mesa had two sacks for FD and led the unit with eight tackles. 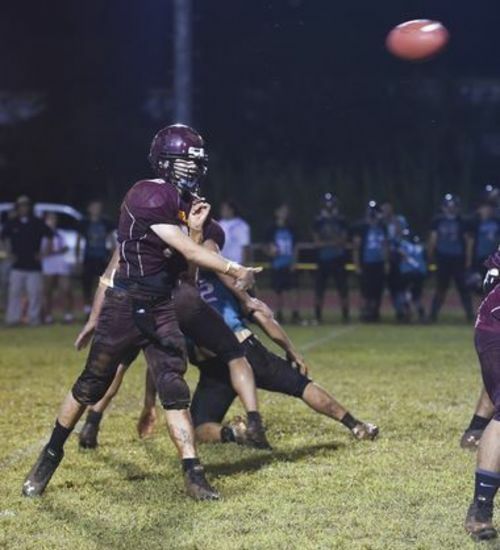 Tonu San Nicolas also had a sack. 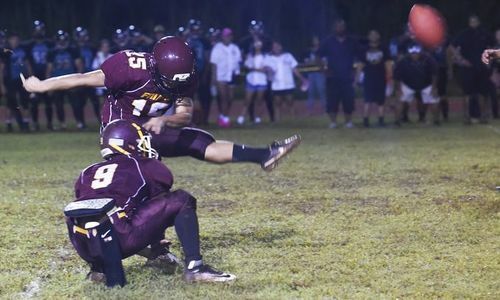 Tonu San Nicolas also had a sack. Jerome Artero kicked a 30-yard field goal to get the Friars on the board in the first quarter and the 3-0 lead carried into halftime. 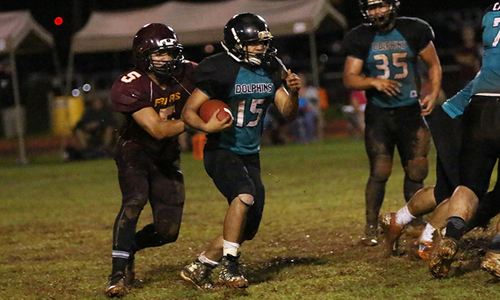 Leon Shimizu led the Friars with 12 carries for 97 yards. 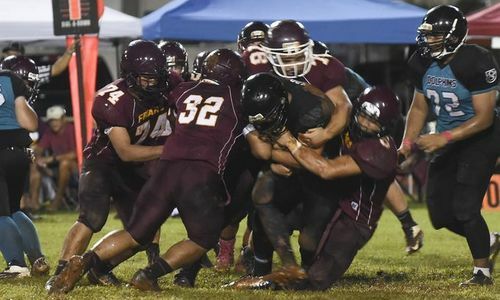 Devin Sudo ran for a 10-yard touchdown late in the third quarter and Jake Benito capped the scoring with 4-yard run with 3:30 left in the fourth.